Nili Brosh Performs At The Music Zoo! 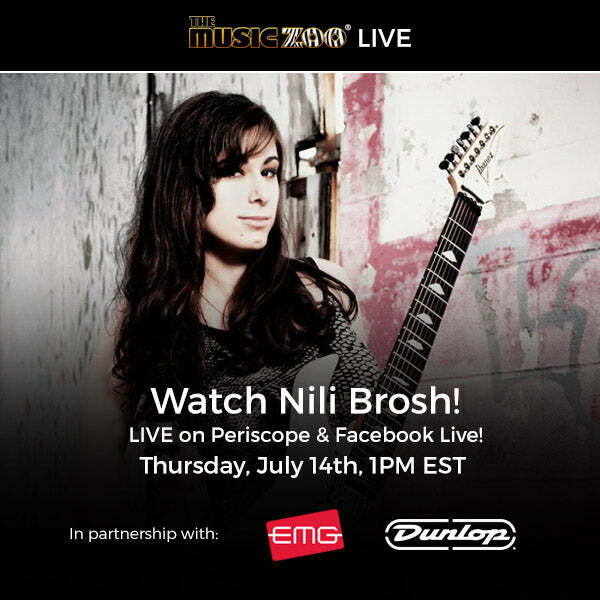 Live Stream: Nili Brosh at The Music Zoo on July 14th! We’re excited to announce that world renowned, next-gen guitarist Nili Brosh will be visiting The Music Zoo this Thursday, July 14th! Nili has been hailed as one of the best up and coming guitarists since her breakthrough on Youtube, and has gained the praise of guitar greats such as Tony MacAlpine, Guthrie Govan, Alex Skolnick, and Yngwie Malmsteen. Watch as Metallica frontman James Hetfield gives us a rundown of his relationship with EMG Pickups, ESP Guitars, and the Metallica Legacy.